It is that time of the year once more when people from all walks life feel the need to go over the top in a conspiracy of love. With 36 days left before Christmas, and still with a long shopping list to complete, I grow impatient and tense as Christmas draws near. I still have a lot of things to do, and this includes shopping for Christmas gift bargains. This proves to be even more difficult when you are living in a single paycheck. Living from paycheck to paycheck limits one's spending. Money is often gone within a few days, so we have to do advance planning until the next paycheck. I must always work within a the budget for every gift I need to buy for. While I want the finest gift for my love ones, my wallet does not allow me to indulge in sometimes. It is so easy for bargains hunters like myself to get carried away buying clearance mark-downs. Instead of saving up money, I oftentimes buy way too much of sale items that I have no use or need for and end up over-spending. I realize that going mall sale weekends is not really a smart move when we are trying our best to live within our means. Availing Groupon Goods is way much better than going to a crowded mall sale. It is less stressful as there are no long queues to the cashier. And best of it all, I get to buy the best gift out of my budget cap without waiting for sale dates. There are Groupon Coupons that I can avail everyday! It is like cutting and clipping coupons forever! 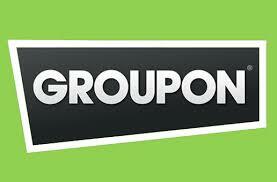 Join in smart shoppers like me and hop on over to Groupon Goods. They have everything you are looking for from toys, to gadgets, to trendy clothes and everything in between! It is a whole new way to find the deals that are available to you at your fingertips, everywhere you go!